88, passed away on Sunday, April 7, 2019 at Wilson Hospital. She was predeceased by her parents George and Clara Raymond; sister Clara Magrath. 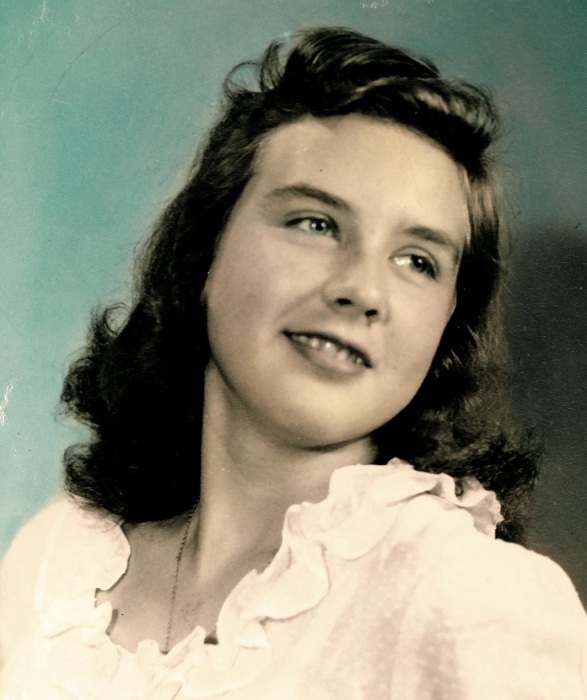 She is survived by her loving husband of 67 years Paul; children Ellen (Jim) McCormick, Paul (Nadine) Hoffmann, Laura ( John) Shantillo, John (Leslie) Hoffmann; 13 grandchildren; 12 great grandchildren; 4 nieces and nephews. Doris saw the good in people and inspired us to be our best. She was kind, compassionate, patient and a good listener, which led to many lifelong friendships. She was a wonderful sweetheart and wife, mother, grandmother and great grandmother and friend who will be dearly missed by all who loved her. A Memorial Service will be held on Saturday, at 11:30am at the Barber Memorial Home, Inc., 428 Main St, Johnson City. The family will receive friends on Saturday from 11:00am until the time of the service at the Barber Memorial Home. In lieu of flowers, donations can be made in Doris’s memory to Shriners International, 2900 Rocky Point Dr., Tampa, FL, 33607.